In the State of Maine, when a child is born, a birth certificate is filed in the municipal clerk’s office in the town where the birth happened, as well as in the municipal clerk’s office of the town of residence where the mother was living at the time of the child’s birth. For example, if a child was born at Maine Coast Memorial Hospital, and the mother was living in the Town of Surry at the time of the child’s birth, a copy of the birth certificate would be filed with the City of Ellsworth and with the Town of Surry. Certified copies of the birth record can be purchased from either town office. In addition, duplicate copies of all birth records are filed with the State of Maine Office of Vital Records, a division of the Department of Human Services in Augusta, Maine. Please include a self addressed stamped #10 (business size) envelope. The cost for a copy is $15.00 and $6.00 for each additional copy of the same record, ordered at the same time. Please include a self addressed, stamped #10 (business size) envelope. 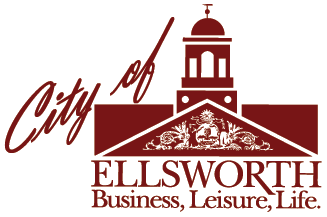 Make check or money order payable to: The City of Ellsworth. Please note the City DOES NOT accept credit cards. Debit cards are accepted in person, not over the phone. Registrant’s legal custodian, guardian, or conservator or respective authorized representative (includes attorney, physician, or funeral director); and Genealogists who have a Maine CDC issued researcher identification card. Proof of identity must be presented to the municipal and city clerks or state Vital Records Office staff. A brief application for securing a copy of the vital record must be filled out and presented, along with positive identification such as a driver’s license, passport, or other government issued picture identification that clearly shows that the person requesting the record is who they say they are. If one of these is not available, the requestor will need to show two items from the following: utility bills, bank statements car registration, copy of income tax return, personal check with address, a previously issued vital record, letter from government agency requesting vital record, Department of Corrections ID card, Social Security card, DD214, hospital birth worksheet, license/rental agreement, pay stub or W-2, voter registration card, or a disability card from SSA. Identification requirements apply whether the records are requested in person or by mail.